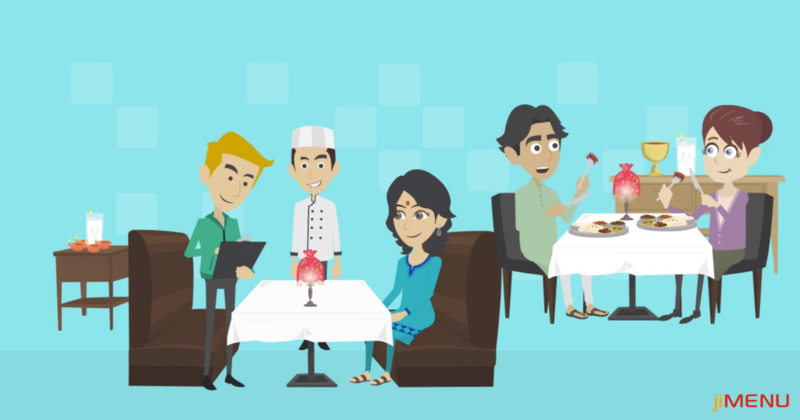 How often do you ask your guests to give a feedback about your restaurant services? Maybe never because you never gave a thought to it. Right? While few of you would say yes about taking the customer feedback. Most of the restaurant owners assume that their restaurant is doing fine if they are getting good sales. But you are wrong! Customer feedback is one of the most crucial steps while heading towards success in your food business. Is customer feedback necessary for your restaurant? Most of the restaurant owners are afraid of the negative reviews from the customers, so they avoid getting customer feedbacks. But remember, if you can spot the negative points of your services, you can work upon it to improve your services and make the customers happy. So, once you are aware of your shortcomings, you can easily work on it and fix the problems while enhancing the customer experience. Still confused that whether adding customer feedback to your restaurant process is necessary or not? Let's get a quick overview of how customer feedback can enhance your restaurant experience and take your food business to the whole new level. Improved decision making: Building future strategies for your restaurant on your own assumptions would be a total waste of time and resources. Rather if you have customer feedback with you, you can make better decisions about which all fields do you need to improve on. Grounds where your staff lacks, new requirements, all can be well defined if you get customer reviews. Improved products & services: Launching a product or a new service directly into the market without having any idea of what customer expects from you would be a bad decision. Getting the customer reviews in advance lets you know about what your customer demands are and what are they expecting from you. This lets you get an idea about how much you need to invest and work upon. Source of information for other customers: In the ever running world and advancement in the technology, nobody is free to look up for your restaurant details or visit your website. Rather they will have a quick look over the previous customer reviews and make a decision accordingly. So, providing customer feedback lets you present your services to the new customers in a more reliable and easy manner. Value customers opinion: No matter you are taking customer feedback on a paper or by filling it online, both are a good way to make your customers feel special. This will let the customers love your services and stay longer with your restaurant. Gain trust with your customers: If customers give a positive feedback, good enough! You are serving well. But if you get a negative review, this will be a chance to improve the service and present a better service in the future. Once the customers re-visit your restaurant and see their problem solved, they would directly gain trust in your services. Your restaurant still doesn't have the customer feedback? Don't delay and start it now. This would be a worthy idea which has endless benefits for you apart from the above-mentioned ones. Make your customer realise that you value their opinion and they'll love to stay longer with your restaurant. Have any queries? Reach us at any time and we are here for you to clarify your queries!